Spring begins for UK crops at the end of April to end of May. But we also enter the dreaded ‘hungry gap,’ where the weather is warming and we are feeling Spring-like, but the new season crops are not ready. This is definately the hardest time of the year to run a seasonal stall and veg box scheme, as the new crops are available, but they are very pricey. Crop prices are almost twice the price in May as they are over the Summer. As a grower it is really important to get some income after the Winter at this time of year, but as someone who runs a veg box scheme it is challenging. 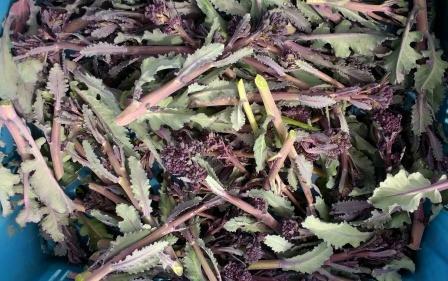 You have to balance the new exciting Spring crops which are expensive with the roots that have been stored over Winter to give customers value.